VG Sunglasses is a fashion brand for women. 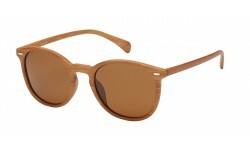 The styles are chic and classy, for the women that want to wear sunglasses that shows a cutting edge in style. 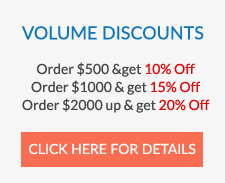 Be sure to add VG Sunglasses to your selection of discount wholesale sunglasses for your customers, and profit now! VG There are 24 products. These styles have a polymer frame with a cat eye shape, which gives it a perfect classy look. You can get these sunglasses at the best prices from Sunrayzz Canada. These sophisticated polymer sunglasses with the butterfly shape are quite trendy now a days. Comes in gradient lens in assorted colors. Square shaped fashion sunglasses for women! Non logo. Hybrid style with a mix of plastic frame and metal arms. Truly a cutting edge style for the hip women out there. 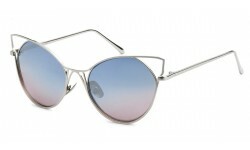 High quality metal sunglasses with assorted lens colors as shown. Similar to a square aviator but more rounded along the corners. Definitely a must have for a retailers selection of fashion sunglasses. New flat brow shield sunglasses for women! Metal style that's fashion forward and ideal for the retailer with a market for stylish women. High quality non branded non logo sunglasses at it's finest. Stylish and classic female shades! Add them in your collection now and profit. Gorgeous non logo VG women's fashion sunglasses wholesale from Sunrayzz. Check out the color assortment with the images shown. All lens colors are smoke. The detail and design of this item is amazing, especially for the price! Get the stylish and fashionable butterfly style sunglasses from Sunrayzz Imports. Order now! These classic club master looks classy and contempary with the hint of elegance to it. Order now while supplies last.